The Cloud evokes comfort, openness and freedom. 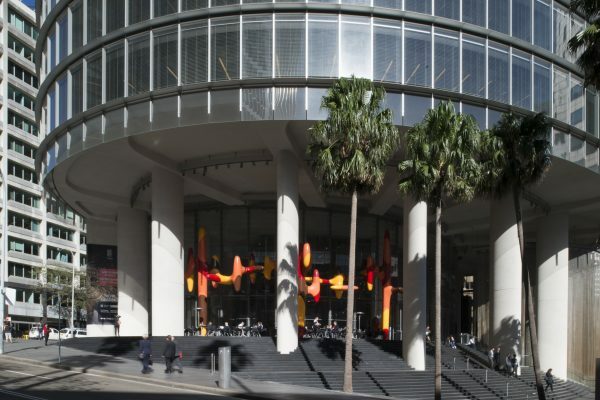 Through freedom, it is connected to cloud computing which, in turn, links to the quality of ‘Connected City’ so important to Sydney. 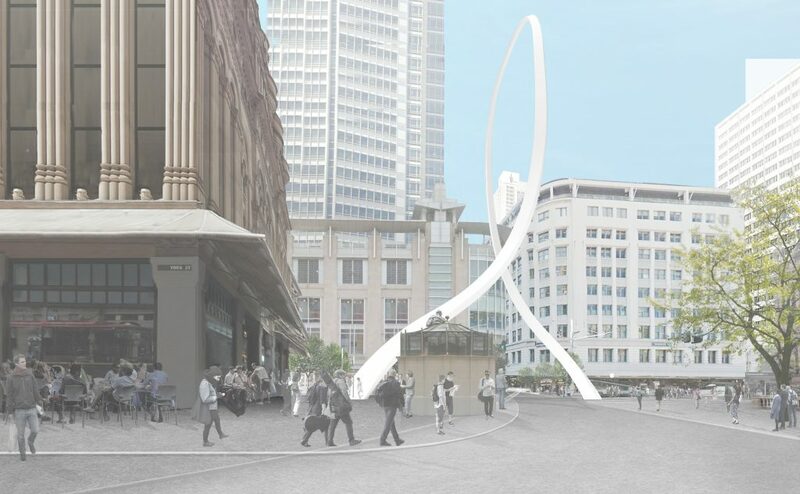 An elegant cloud-shaped arch that soars above George Street outside Sydney Town Hall, Cloud Arch will be situated at the very heart of the city centre and at the midpoint of the newly pedestrianised George Street. 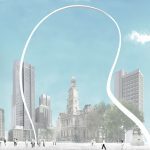 The unique new symbol for Sydney is the eye-catching design of visionary Tokyo-based architect and artist Junya Ishigami. 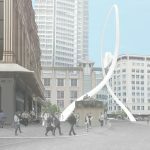 By using the latest construction technology, Cloud Arch will provide an arch so high and light it will seem cloud-like. 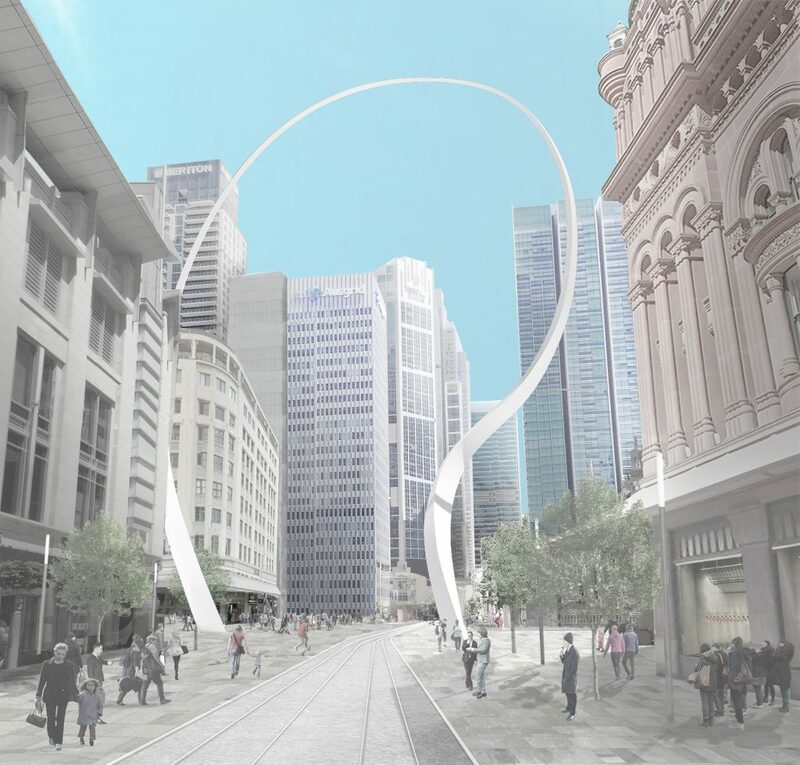 Ishigami’s Cloud Arch will taper and curve in two directions, and act as a gateway to the pedestrian section of George Street, with the light rail passing underneath it. 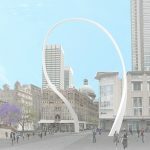 Changing shape depending on the viewer’s vantage point, it will be visible from many parts of the city centre and is set to become a landmark meeting place for Sydneysiders and visitors alike. 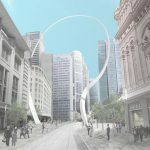 By virtue of its placement, scale, quality and power to spur the imagination, Cloud Arch is set to become the signature entrance gate to the newly transformed pedestrian street. 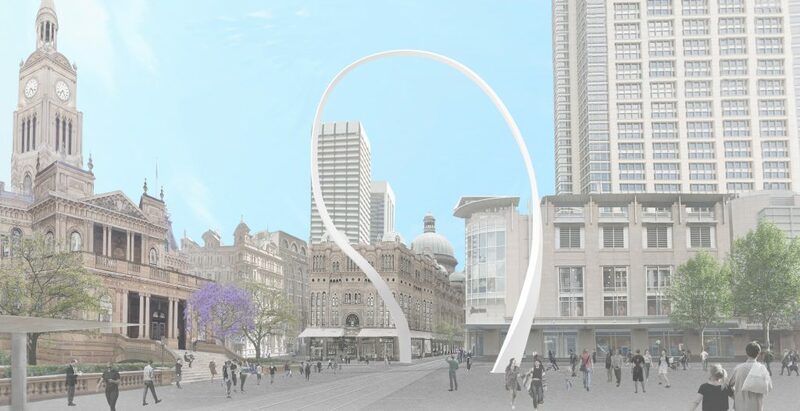 Discover more about the new iconic heart of Sydney. Born in Kanagawa, Japan and living and working in Tokyo, Ishigami is an architect and artist who brings a unique philosophy, aesthetic and skill base to his work. 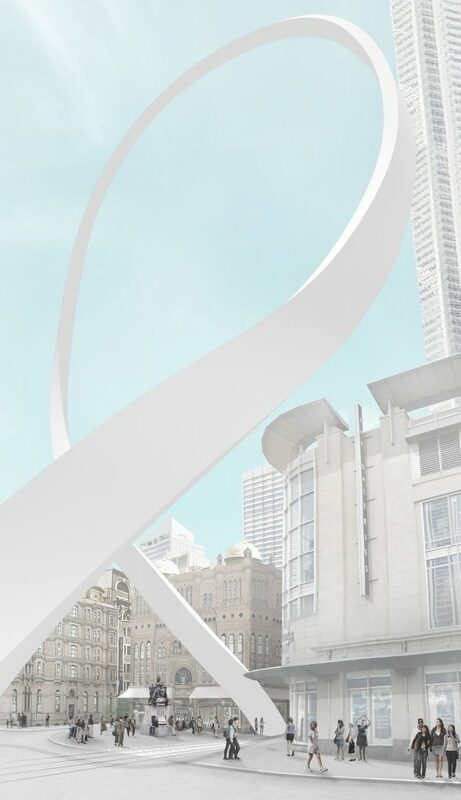 Ishigami is renowned in the artistic world today for the inventiveness of his approach to the built environment. A visiting professor of the Harvard Graduate School of Design (2014), Ishigami is the winner of the coveted Golden Lion for best project at the 12th Venice Architecture Biennale (2010) and the Architecture Institute of Japan Prize (2009). 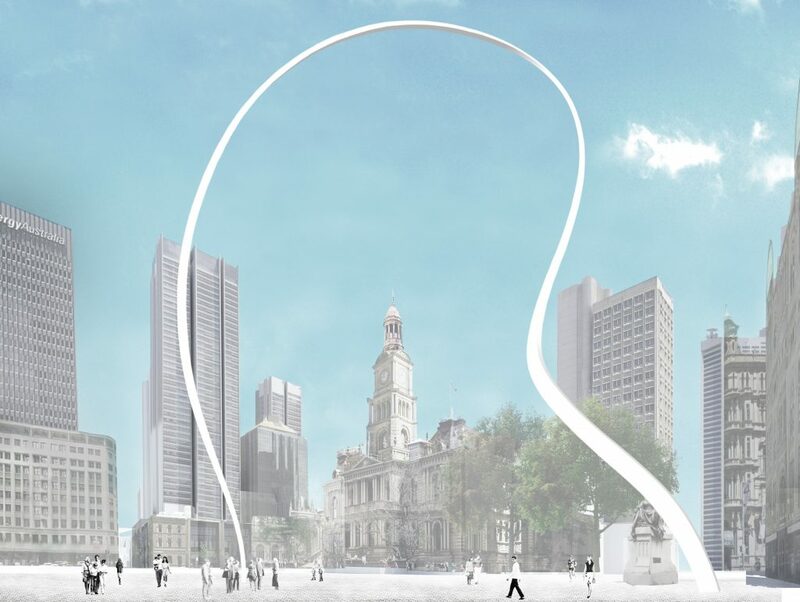 The city centre public art plan launched in June 2013 complements the City of Sydney’s $220 million contribution to the NSW Government’s light rail project. 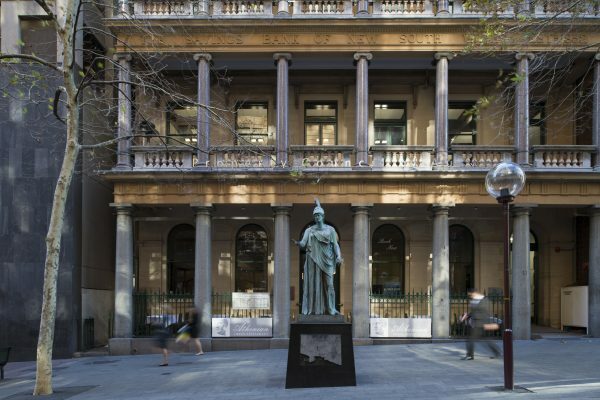 This project will transform the city with major public domain upgrades, including new infrastructure and the pedestrianisation of George Street. 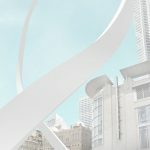 New public art created under this plan will enhance our city’s well-known features, highlight those places most important to people, and magnify the ideas that founded the city. 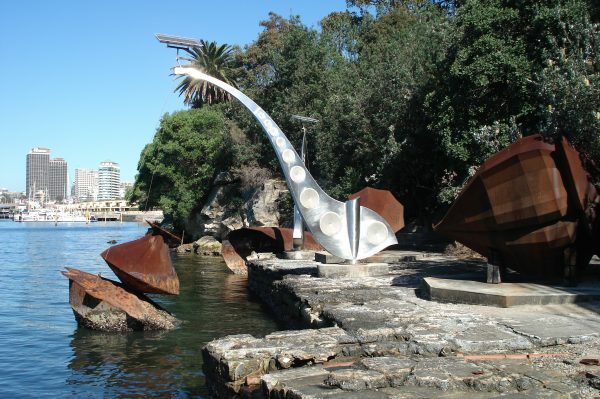 This plan, prepared by Curatorial Advisor Barbara Flynn, aims to contribute to the legacy of permanent public art works and also to support events and temporary works of art, bringing a focus, distinction and richness to Sydney’s prime civic spaces.